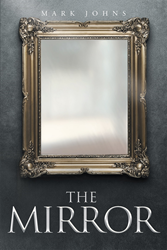 Recent release “The Mirror” from Page Publishing author Mark Johns is a unique take on the traditional coming of age story as the young protagonist is equipped with a supernatural mirror, which proves to be both an obsession and saving force in his life. Mark Johns, a mail carrier in West Bloomfield, Michigan, with a penchant for the creative, has completed his new book “The Mirror”: an imaginative coming of age story about a boy who has an unusual guide through his life’s adventures: A supernatural mirror. Mark’s day job of delivering mail in West Bloomfield often left his creative side wanting more. “(I) needed something to stimulate (my) mind and keep (me) occupied. (I) always regretted not going to college and doing something more exciting with (my) life.” The seeds of his perception of opportunities lost planted themselves in his overactive imagination and out grew this novel. Published by New York City-based Page Publishing, Mark Johns’s supernatural tale follows young Kyle’s journey into adulthood with the guidance of a mirror which proves to be more than what it seems. While Kyle’s fixation with the mirror follows him through the highs and lows of his life. Even with its guidance, he is not immune to tragedy. However, the mirror does use Kyle’s obsession as a protective device, allowing it to save not only Kyle’s parents’ marriage but his own life. Readers who wish to experience this engaging work can purchase “The Mirror” at bookstores everywhere, or online at the Apple iTunes store, Amazon, Google Play or Barnes and Noble.